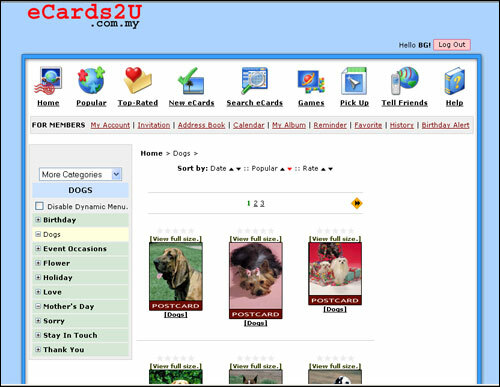 You can now send Doggie Greeting Cards via eCards2U.com.my. All that you need to do is register yourself at www.eCards2U.com.my . Registered members can also create their own album, upload their lovely dog photograph and send them as E-cards to friends and family.